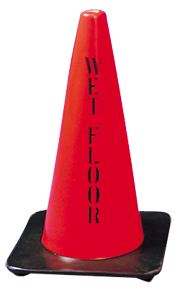 All vinyl constructions cones assures flexible yet rugged durability. It's high visibility provides the user with ultimate conversion of light with brilliant fluorescence. 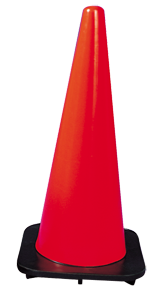 It has reflective cone collars available in all sizes to offer increased safety during nighttime use. 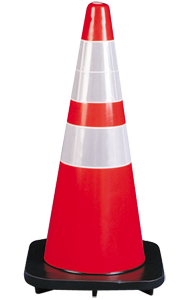 It meets MUTCD specifications and is sensibly priced to accommodate your budget. 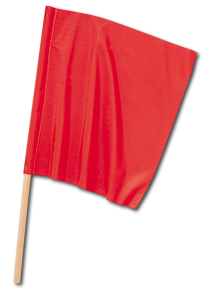 Repeat wording easily identifies hazard. 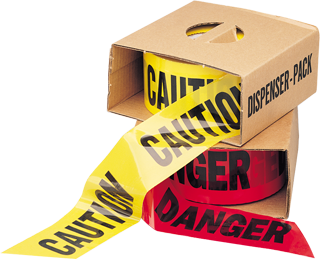 Poly barricade tape in jumbo rolls, strong, yet disposable and very, very economical. Available in red or yellow with black print. Most popular 3” x (big) 1000 ft. rolls. Other lengths to special order - minimum required. 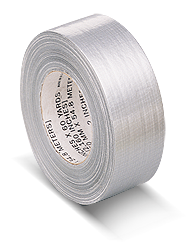 Duct Tape 2” X 60 yds. mounted on 3⁄4” diameter hardwood dowel. Hem may be sewn or heat sealed.